This section contains details of the major actions fought on the Mesopotamian Front - present-day Iraq - during the First World War. These include the many epic struggles fought along the banks of the River Tigris; from the seemingly unstoppable advance of the British throughout 1915 to the resurgence of their Turk opposition in 1916 culminating in the British humiliation at Kut-al-Amara in April 1916. British fortunes revived however with the appointment of Sir Frederick Stanley Maude as regional Commander-in-Chief, as success after success finally led to complete British victory in the region in October 1918. 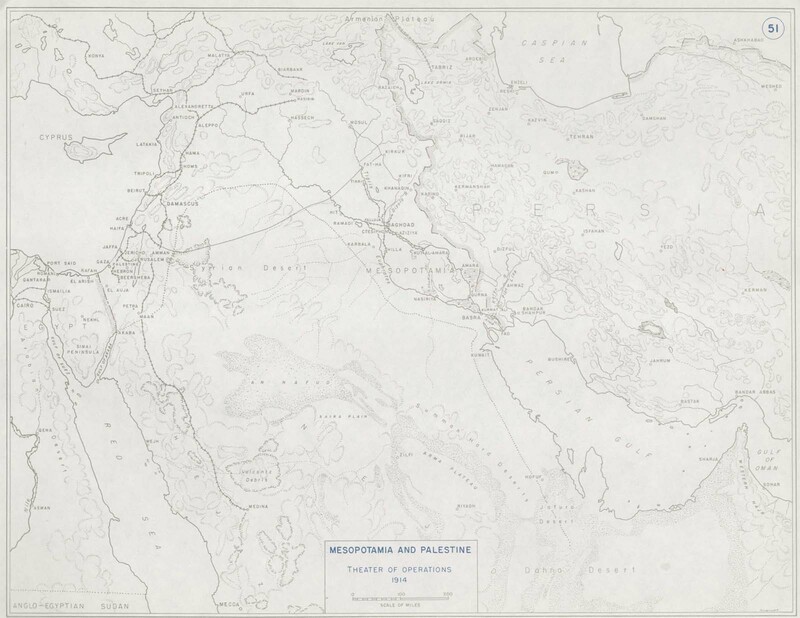 Click here to view a map of pre-war Palestine and Mesopotamia. A "Communication Trench" was a narrow trench constructed at an angle to a defensive trench to permit concealed access to the defensive trench.